The Vital Vegetables research programme, in collaboration with Australian research partners and in-market commercial partners has successfully developed a new market for high value functional vegetables that deliver scientifically verified health and well being benefits to consumers. This was achieved through a portfolio of vitalvegetables® products that contain superior vegetables delivering a measurable benefit to the consumer in a standard serving size. We have done this by delivering a new convenience product, with health benefits that are understood by consumers, looks and tastes good, is locally grown, with an acceptable premium. 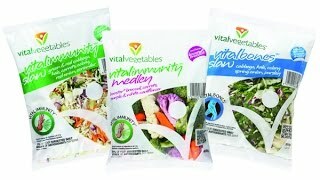 The first five of these products – two coleslaws, two salad mixes and a vegetable medley – launched in New Zealand supermarkets on 1 October 2012 and can now be found across all major food retailers in New Zealand. Based on the NZ success, the commercial partner launched the two coleslaw products in Australia in November 2015.